Alabama fried chicken, it's a classic. Those golden brown, piping hot pieces of chicken are mouthwateringly crunchy and succulent. Try this much loved dish at Little Donkey, where they combine the spice of Mexico with classic American dishes, with slow-smoked meats and fresh-pressed tortillas. The fried chicken is a true highlight. After being brined overnight with a mixture of three chiles, the chicken is fried in the Southern style and packs quite the punch. This ice cream is made in the old-fashioned way, making it a truly decadent sweet treat. The finest milk, cream, sugar and other ingredients are sourced for this secret recipe. At the hands of skilled professionals, the ice cream is made in the traditional manner, and you can taste the difference. Favourite flavours include butter crunch, century sundae and coconut fudge. Take a 45-minute tour of the factory in Brenham, Texas on any weekday from 8:30am-3pm. You can't visit Chicago and not try the pizza. Whether you choose deep dish or thin-crust, the pizza is rich and delicious. In a place known for this dish, there are many fantastic eateries to check out. Coalfire makes the traditional Neapolitan style pizza authentically American, with a thin-crust that's cooked in their 800 degree coal fire. The pizzas come with carefully chosen toppings, from the freshest produce. Try the Margherita pizza with sauce, fresh mozzarella, and a basil topping for something totally indulgent. Kentucky bourbon has a reputation for being some of the best in the world with a range of aromas and flavours. There are sweet flavours such as vanilla and caramel as well as fruity and floral tastes including apple, pear, citrus and rose. You'll also taste spices such as black pepper and tobacco leaf, wood flavours including oak, cedar and pine, and more. All of these come together to create that distinctive quality of Kentucky bourbon. Why not go on a personalised tasting tour? The Innkeeper's Personalised Bourbon Tasting with Dixon, at the Beaumont Inn, will take you through the history of the drink while you try some of the 75 different bourbons. If you have a sweet tooth, Coney Island is a must-visit and William's Candy Shop will fulfil all of your lolly dreams and should definitely make it to your list. Established 75 years ago, the store is quintessentially American. You'll know it as soon as you see it, with the bold vintage sign and lit up window, full of tantalisingly delicious looking sweet treats. 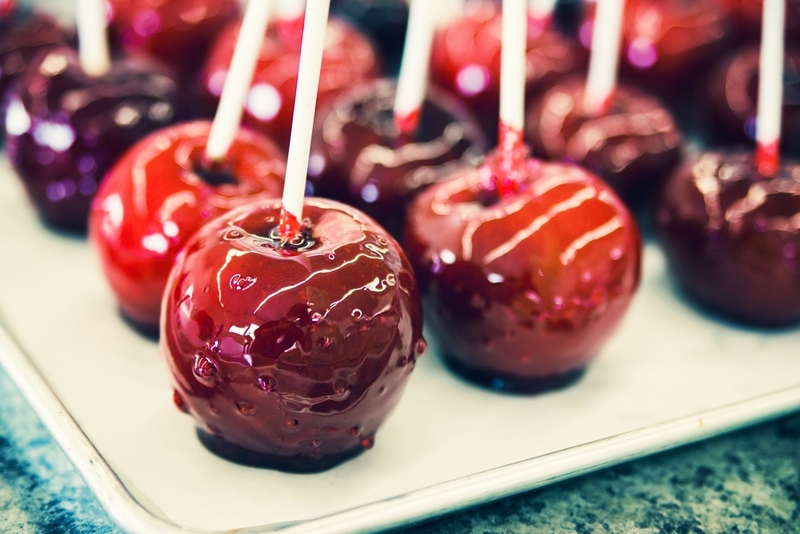 This store is said to make the best candy apples than anywhere else in the world. William's Candy also specialises in marshmallow sticks and marshmallow balls, which are gooey, magical and delicious. Good luck stopping yourself from eating them all! The Big Apple is known for its hot dogs, and whether you get one from a street stall or classic diner, it is sure to be the best hot dog you've ever tried – after all, New York locals know what they're doing when it comes to this treat. At Criff Dogs you'll get all the toppings you could possibly desire, from bacon and avocado to teriyaki and green onions – you can customise the handmade and naturally smoked hot dog however you want. The food of America is something special. Whether you're jetsetting to Texas or New York, be sure to try these classic comfort foods that are some of the best in the world.